Ever since the YEEZY BOOST 700 "Wave Runner" released all the way back in November of 2017, dad shoes have become the wave, no pun intended. Chunky sneakers seem to be on everyone's mind and pretty well every sneaker and high fashion company have taken advantage of this. Some of the creations have been incredible, while others have been pretty disgusting. One of the brands that seem to always get it right though, is FILA. The brand has seen a resurgence over the last year thanks to its chunky dad shoes that appeal to both men and women. One of the silhouettes that FILA has developed is the Ray Tracer which has a bulky construction with some wavy 90s aesthetics on the upper. The shoe is finally back in a new classic colorway that should be familiar for those who know FILA well. 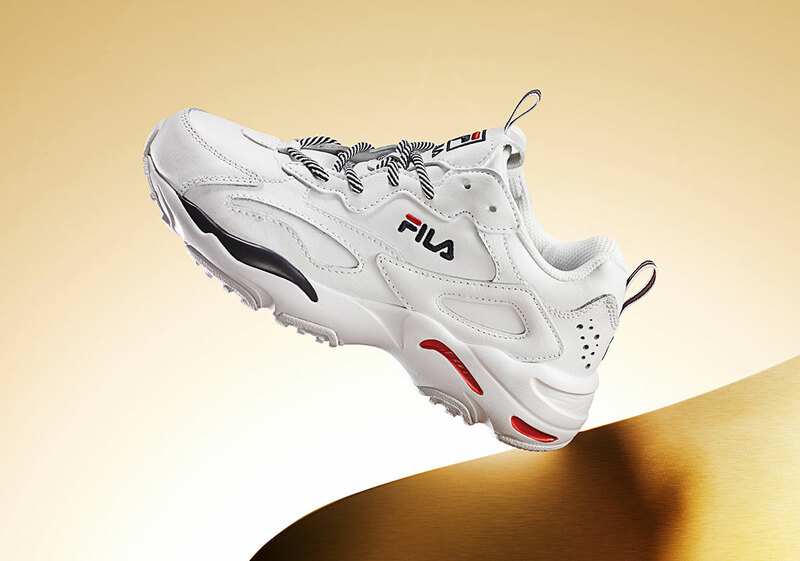 The shoe is mostly comprised of white leather, while hits of red and blue can be found throughout, mostly on the midsole and FILA logo on the side. For those who are in the market for some dope spring sneakers with a flair for father-couture, these are available now in both men's and women's sizes for $75 USD.